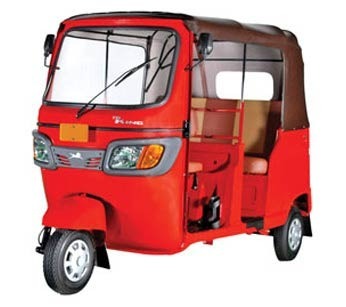 Our range of products include tvs three wheelers and tvs king three wheelers. TVS Three wheelers is a modern low friction vehicle with seven port engines and are highly fuel efficient. The engine of these three wheelers functions at lower revolutions which enhances the reliability and speed on the roads. Available in both LPG and petrol versions, these are proved to be the best commercial vehicles. Ensuring complete comfort of passengers and hassle free rides on rough roads makes these three wheelers highly demanded in the market. TVS King has power twin head lamps, attractive dashboard, single large wind shield and comfortable dual tone seats. Styled in the lines of cars, these three wheelers will define all performing characteristics such as initial pick up and power, convenience and comfort, fuel efficiency and safety. 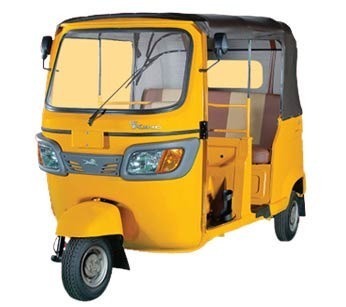 These are extensively used as commercial vehicle and are appreciated for its advancements such as fuel level indication, mobile charging socket, water proof electrical, maintenance free battery and easy to service. Looking for “Tvs Three Wheelers”?